Today is the day that we remember our Veterans, and take a moment to give respect to their commitment and sacrifice. In this space, we consider how we have and continue to remember the American Civil War. Which brings us to the substance of this post, wherein I wish to again posit a criticism of the use of Civil War combat as a form of consumer art, especially when that work is given credit for "realism". I refer you please to my previous post on the subject where the work of Don Troiani, one of the most prolific ACW artists, was discussed. The utter lack of reality within this medium resurfaced during the recent book chat on "Harvard's Civil War" a text with Troiani's "Fire on Caroline Street" on the cover. I brought this issue up in the chat given we were discussing the 20th Massachusetts Regiment's experience at the Battle of Fredericksburg. I presented my take on the complete absence of trauma or blood and mentioned this glaring lack of accuracy and candor in Troiani's work. Several of the people in the chat mentioned how they'd never noticed that before. Somehow in the 147 years since the Civil War, amidst the mythologizing and glorifying, we've forgotten what a brutal and gruesome experience this was for the men who fought it. At some point, the reality of Civil War combat has given way to something that is acceptable to hang on the wall of someone's home. We've neglected, or perhaps chosen to consciously ignore or subconsciously block out, the grim realities that faced soldiers and civilians on Civil War battlefields. This type of treatment is not so widely seen with other American wars. For example, The Jess and I did a Google and EBay search for artwork about the Normandy landings on June 6, 1944. There is a minute commercial market for such work, which demonstrates that it isn't, and by extension shouldn't, be roundly accepted. Too many people remember exactly what happened that day, and our memories of it are too stark and raw to be dumbed down like that. So how come this sort of art is acceptable with regards to the Civil War? These paintings, and many others, are praised for their accuracy and bought and sold as commodities. They depict famous battle moments, to be sure, but the most salient point is that men, in the moments that are so memorable, also bled, suffered, and died on those spots. I do not believe the best way to remember what happened there is through this type of sanitized glorification of something truly awful. 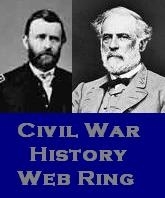 The citizenry during the war, especially after the Battle of Shiloh, knew exactly what was happening. They were the first citizens to see the brutal reality of war through the camera lens, and communities were flooded with the wounded, and cemeteries filled with the dead. There were of course contemporary artist renderings of Civil War fighting, most from journalists and troops who witnessed fighting. This art, while certainly not as refined as Mr. Troiani's, pulled no punches when it came to showing destruction and death. You may be sure these depictions weren't getting slapped up on the walls of private homes. There was no hiding from the realities of war in 1861-1865, and the Civil War should have been a seminal event in the way we think about war, one that would hopefully discourage us from ever wanting to see another. Somehow, this didn't happen. There is indeed a disconnect between the way we choose to think about Civil War combat and what actually transpired, and it is fed by this sort of pulp art that is only selectively correct and maximally palatable, but certainly not reality. "If an historical painting is not reasonably accurate, then it's worthless both as art and as a historical document," Troiani declares. "If you are going to become involved in this field then there is little excuse for a pattern of inaccuracies." Joshua, thank you for this incredible comment and your heartfelt thoughts! Book Review: "Isn't This Glorious!" More Analysis Of "The Peculiar Institution"
Book Review: "Shiloh: Bloody April"
What Makes A Good Campaign History Book?